I got an interesting question about alternatives for feeding birds since the price of seed has gone up. Here’s the specific question I received: Can chicken scratch be added to dilute the now expensive black oil sunflower seed? Answer: Cutting the more expensive bird feeds like sunflower and safflower with chicken scratch would save money and would not hurt the birds (unless the corn stayed around too long and got moldy), but the colorful birds won't be that interested. It would be worth a try. Another option would be the seed cakes. The birds eat them more slowly. Feeding less volume of seed less often is another option. 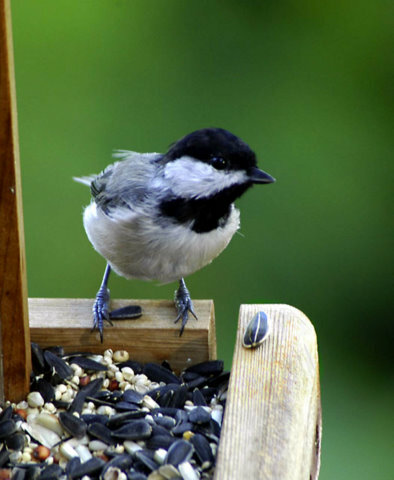 Don’t forget that right now the birds have a smorgasbord of seeds and berries in nature to choose from. Also spend some of your budget adding the plants that attract birds. That's just a one time expense. Trees: Tulip tree, ashes, oaks, hackberry, serviceberry, hawthorn, persimmon, crabapple, elderberry, Eastern red cedar, madrone, scarlet buckeye, flowering dogwood, magnolia, mulberry, black cherry, rusty blackhaw viburnum, wax myrtle, figs, yaupons, and all other fruit trees. Shrubs: Agarita, American beautyberry, rough leaf dogwood, abelia, winter honeysuckle, roses, winged euonymus, Carolina buckthorn, elaeagnus, hollies, leather leaf mahonia, sumacs, and Chinese photinia. Vines: Cypress vine, coral vine, cross vine, coral honeysuckle, Virginia creeper, grapes, and Carolina snailseed. Perennials: Turk's cap, elderberries, currants, salvias, lantana, monardas, purple coneflower, mullein, and chili pequin. Annuals: Asters, cosmos, sunflowers, scarlet sage, polk salad, nasturtium, hibiscus, ixora, and blackberries.